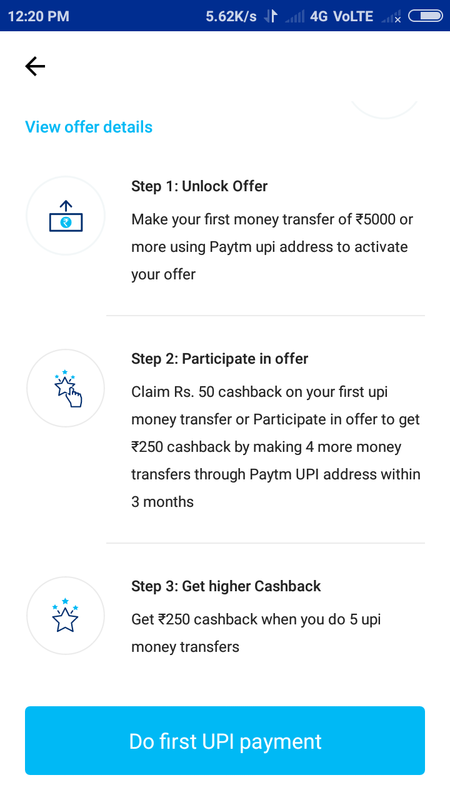 Get Guaranteed 250 Cashback by doing 5 Paytm upi transaction in 90 days. Every payment should be Rs 5000 or above. Click on face symly on upper right corner. Then see cashback offer by scroll down to bottom of the page. Offer is valid for old user? Valid on non Paytm upi? Valid only on paytm upi? 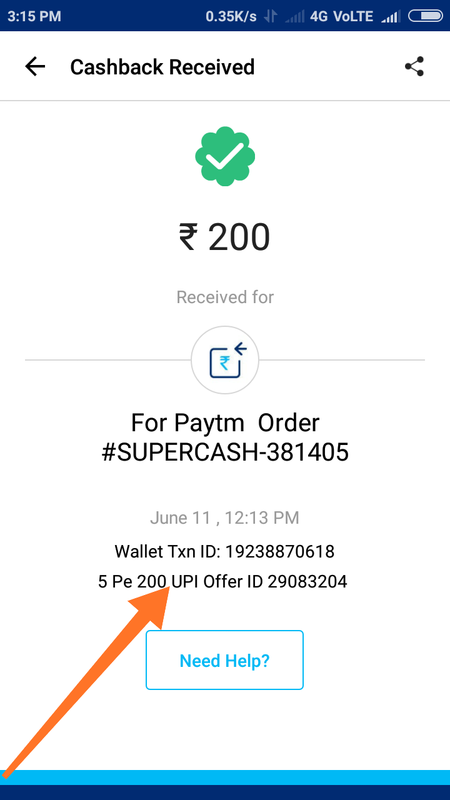 Cant i send from paytm upi to some other upi ? Cant say anything because i didn’t try for non Paytm upi. Either Refer TnC or you can check by sending fund to non upi. I hv sent 5k to 2 paytm upi and 1 non paytm but still it counts only 1 transfer.. Put a gap of 2 to 5 minutes in each transaction. Then see if it counts non Paytm upi transfer or not. If not then you can try only Paytm upi. Confirmed – Not getting cashback for non paytm upi. Can v send money to a same paytm upi id for 5 times and get cashback?? Can we send to bank a/c? 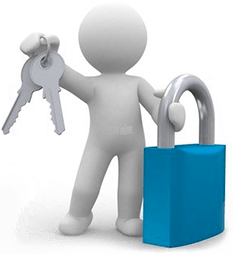 Is it applicable to users who have done UPI previously also?? I dont have a 5k.. I sent money to samw upi 5 times. But it got tracked only once. It is working for all. Bro read above comments of dimers . No clear tnc..
Is this your first upi transactions on paytm or you already used upi in your paytm account? I think this offer is only for new users of upi transactions because in step-2 they mentioned 50 cb on first upi transaction. If its for all then they would mentioned in different way.